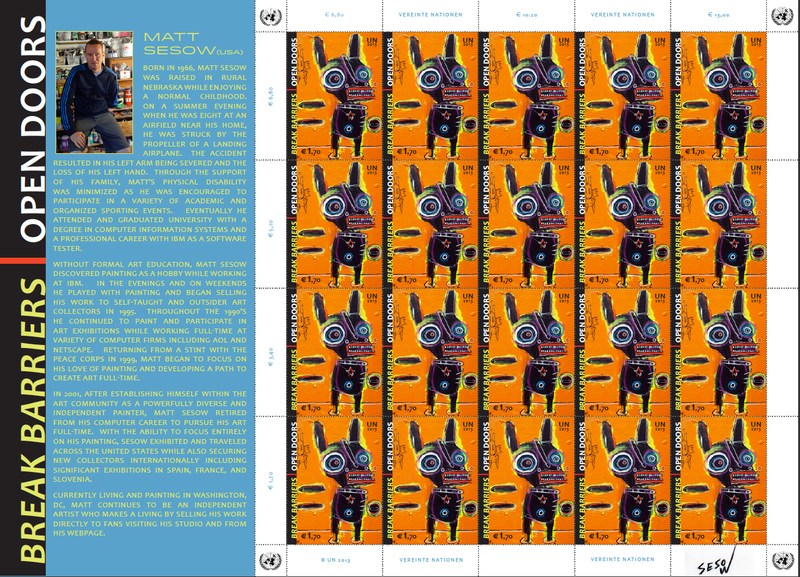 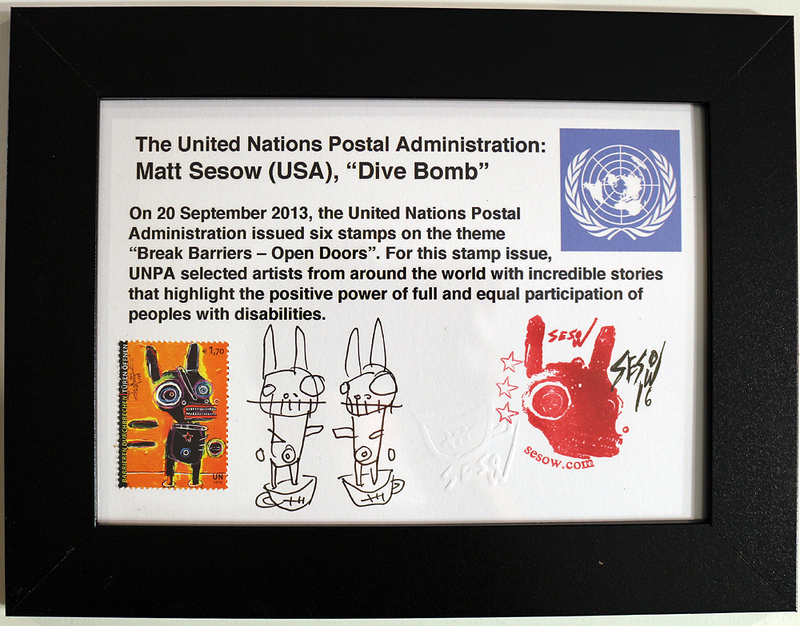 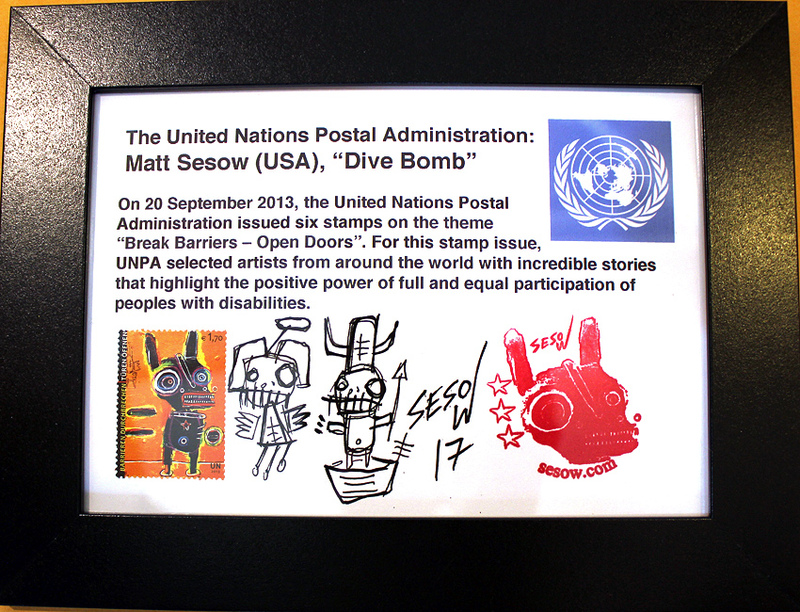 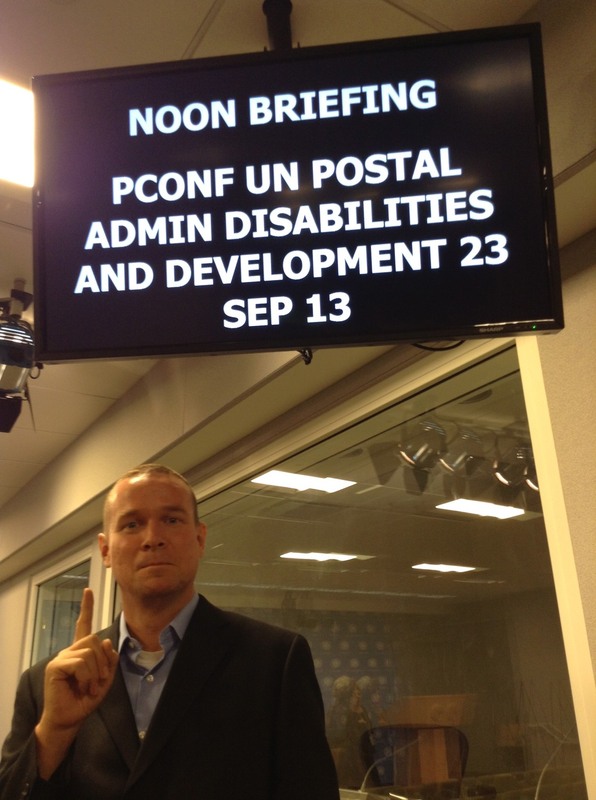 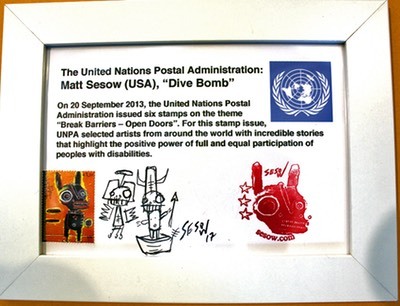 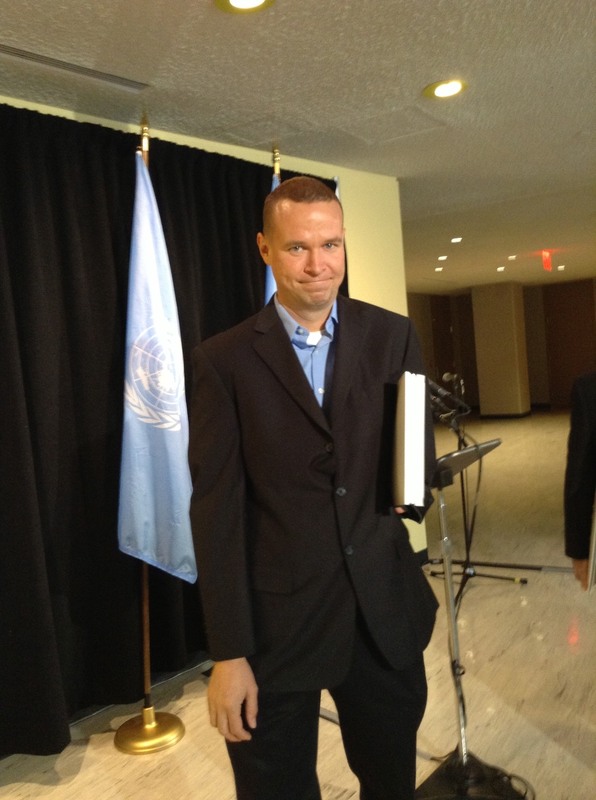 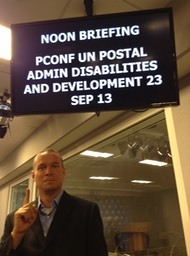 On September 20, 2013 the United Nations Postal Administration released six new stamps focusing on artists with disabilities, including Matt Sesow. 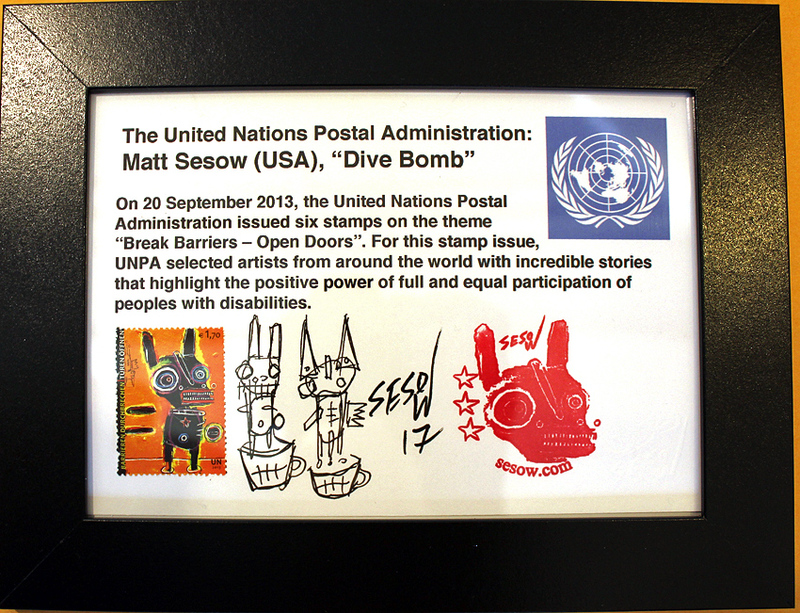 Sample of framed/signed stamps available directly from Matt Sesow (contains original stamp, signature, drawing, embossed icon and chop stamp). Framed/signed stamps are $50/each (free shipping). 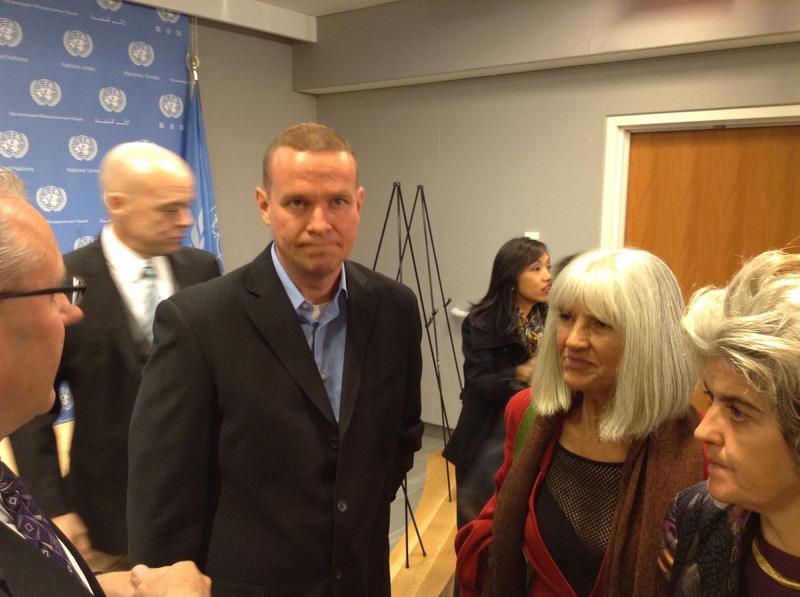 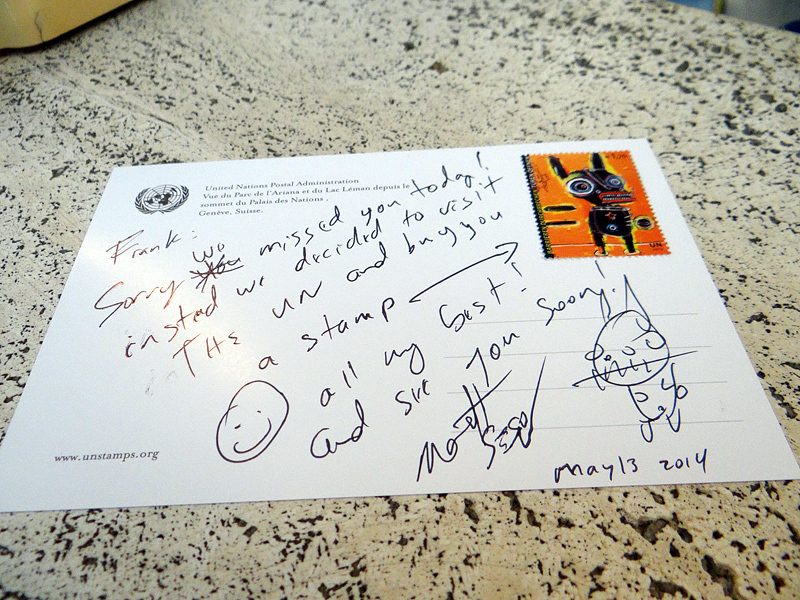 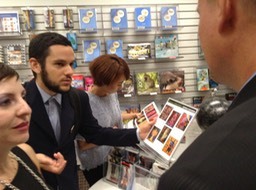 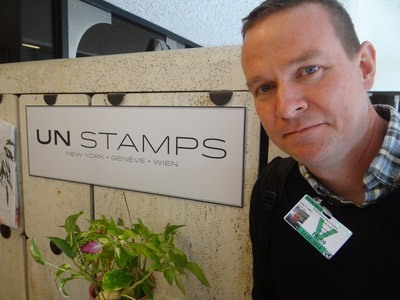 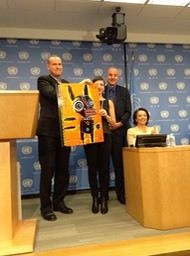 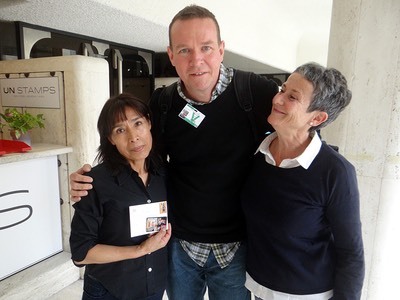 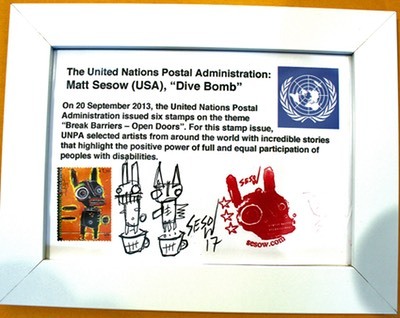 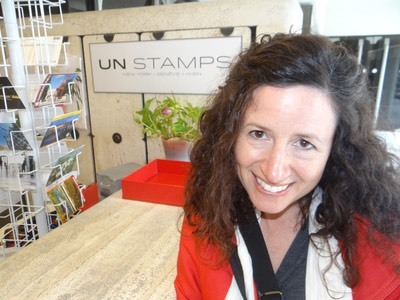 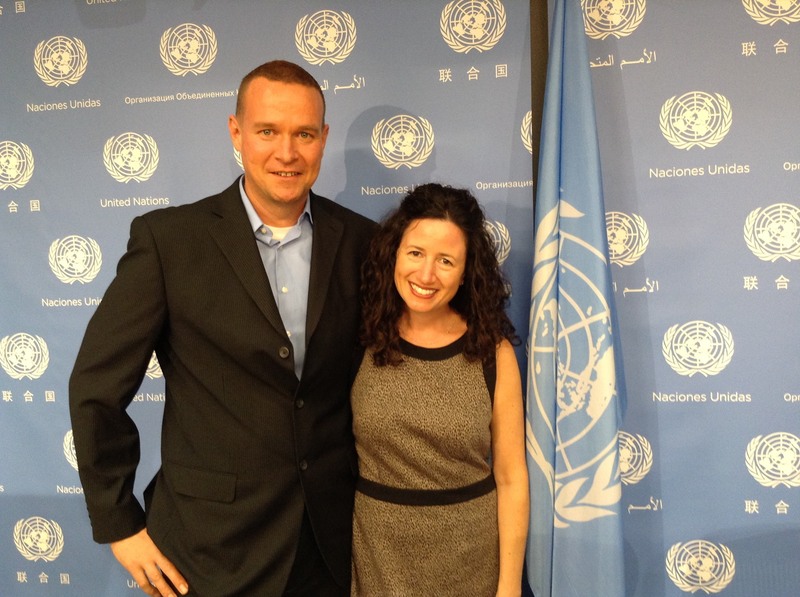 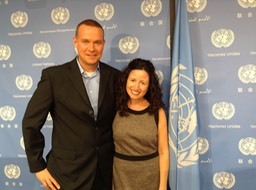 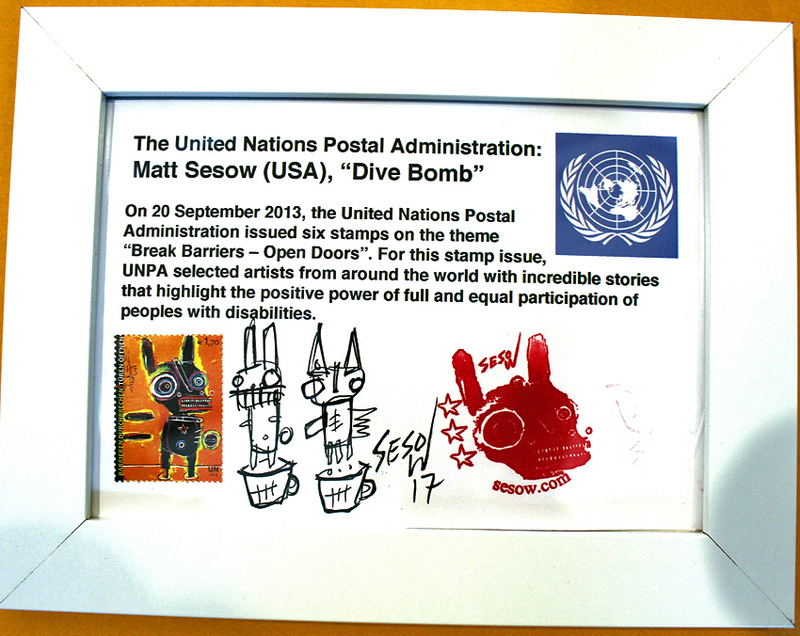 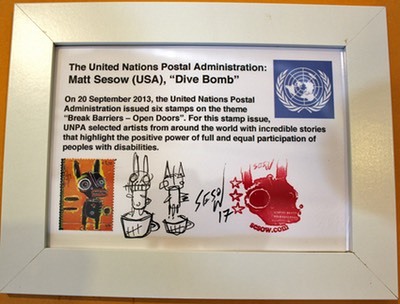 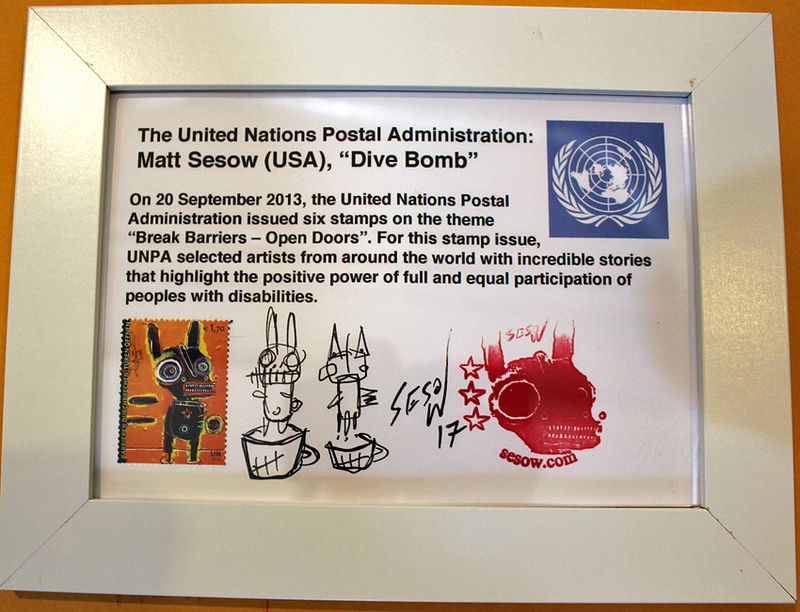 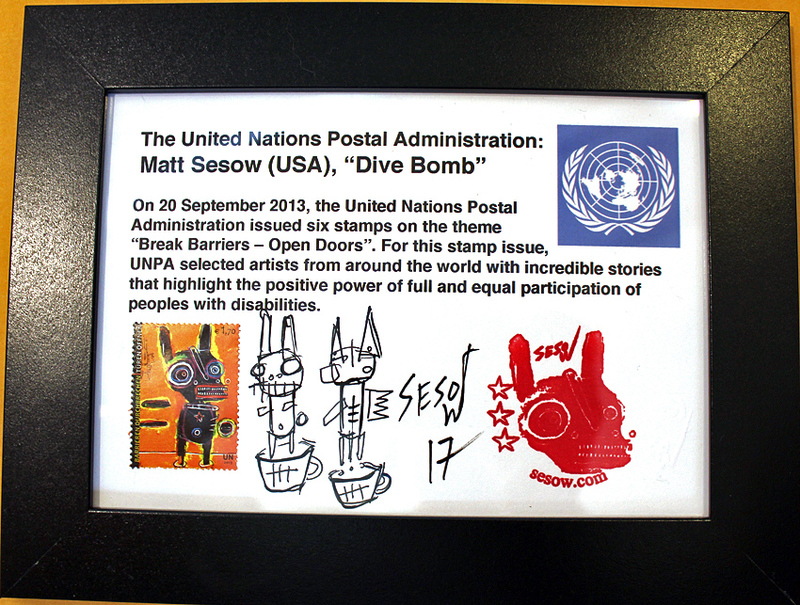 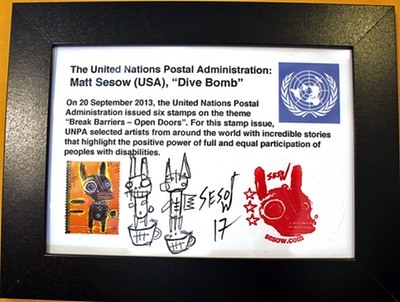 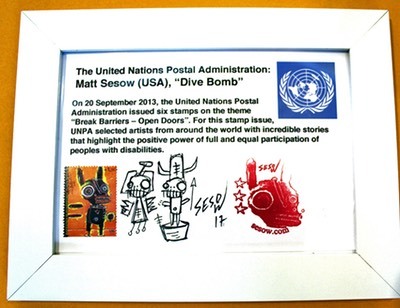 The stamps SOLD OUT after a printing of 129,500 at the UN but you may still purchase the single framed stamps directly from Matt Sesow (see above). 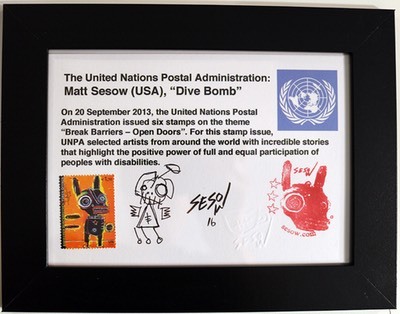 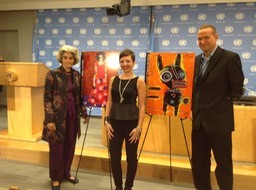 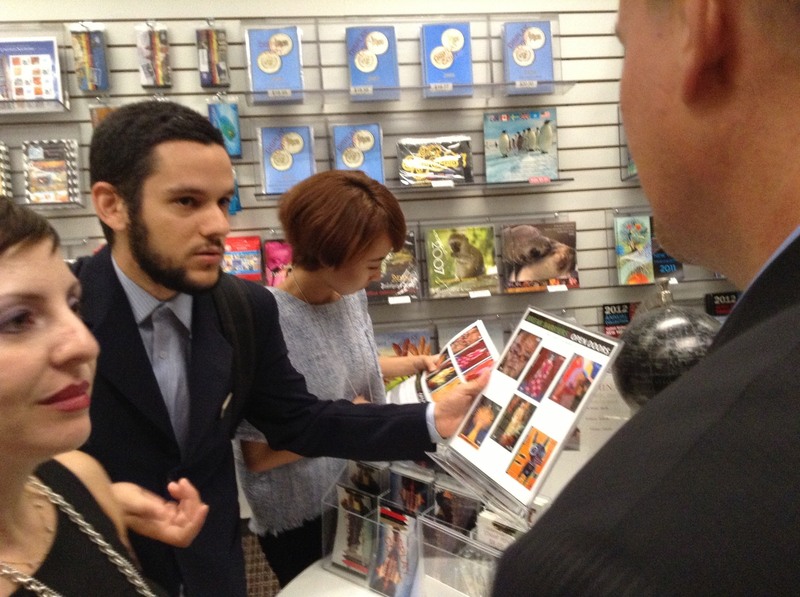 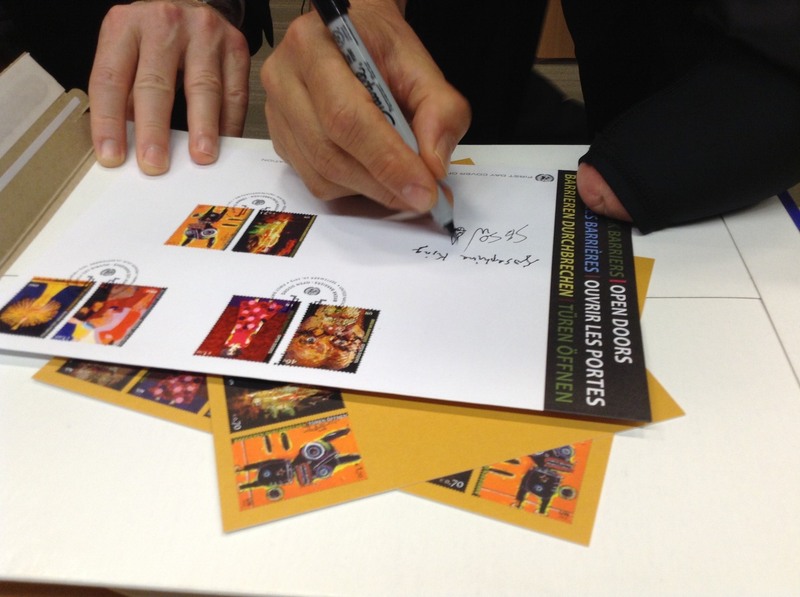 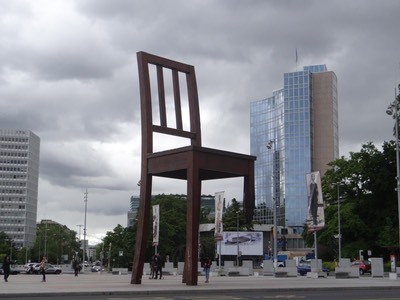 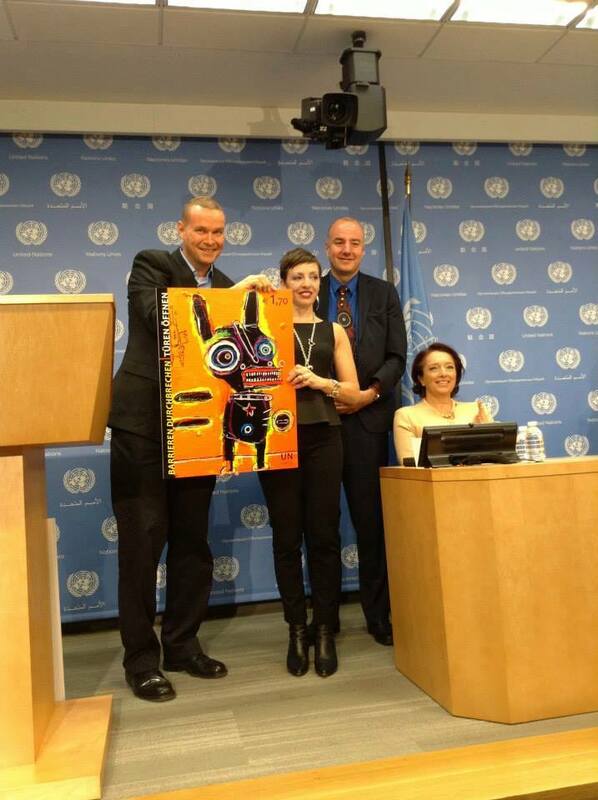 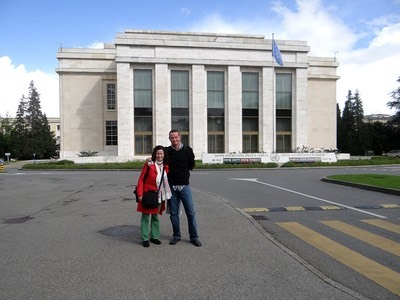 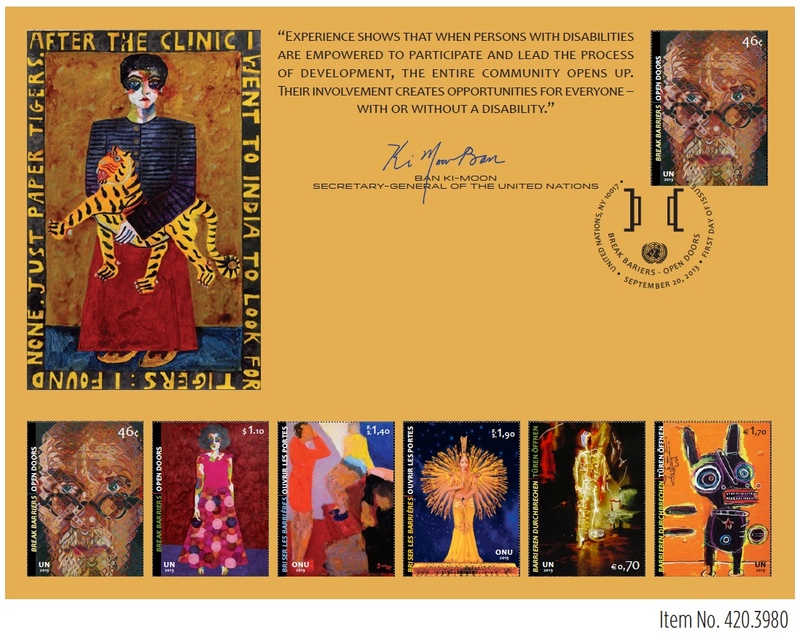 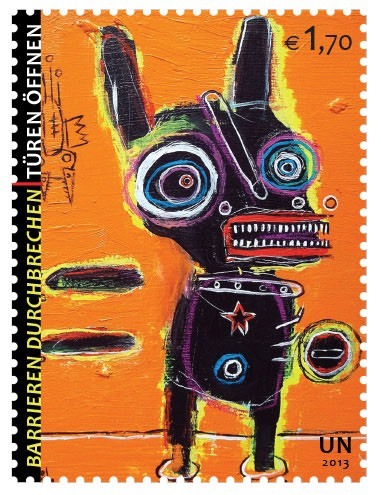 The United Nations Postal Administration (UNPA) released six new postage stamps on Friday, 20 September 2013, focusing on the talents of artists with disabilities. 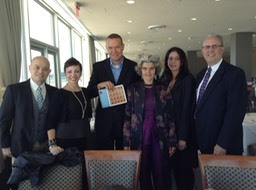 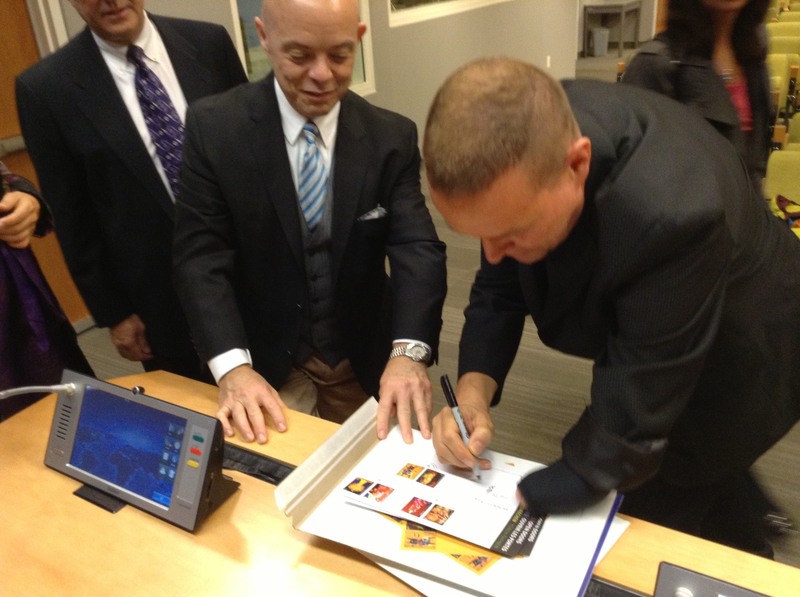 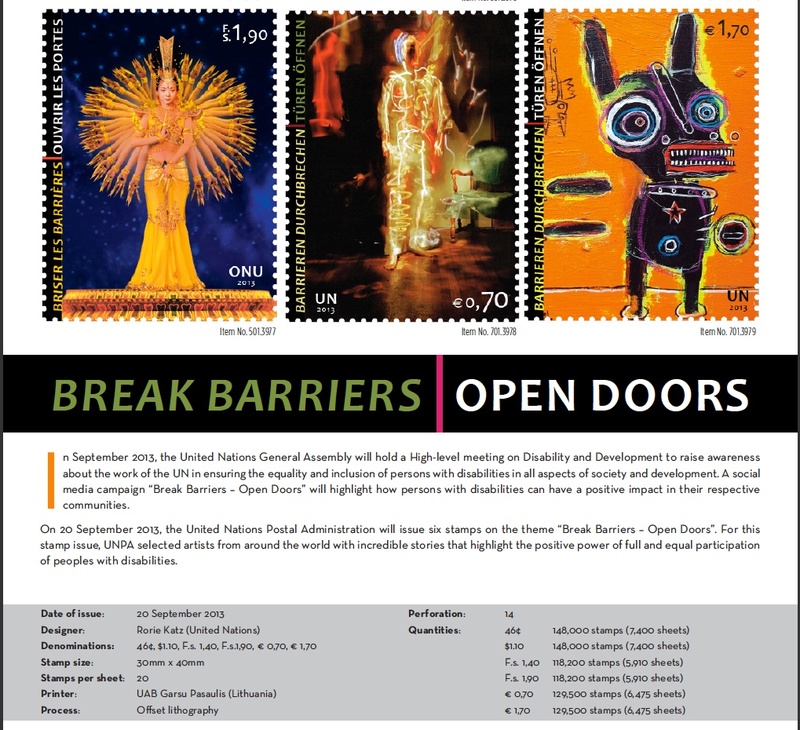 The stamps were issued in conjunction with the United Nations High Level Meeting of the General Assembly on disability and development on 23 September in New York City. 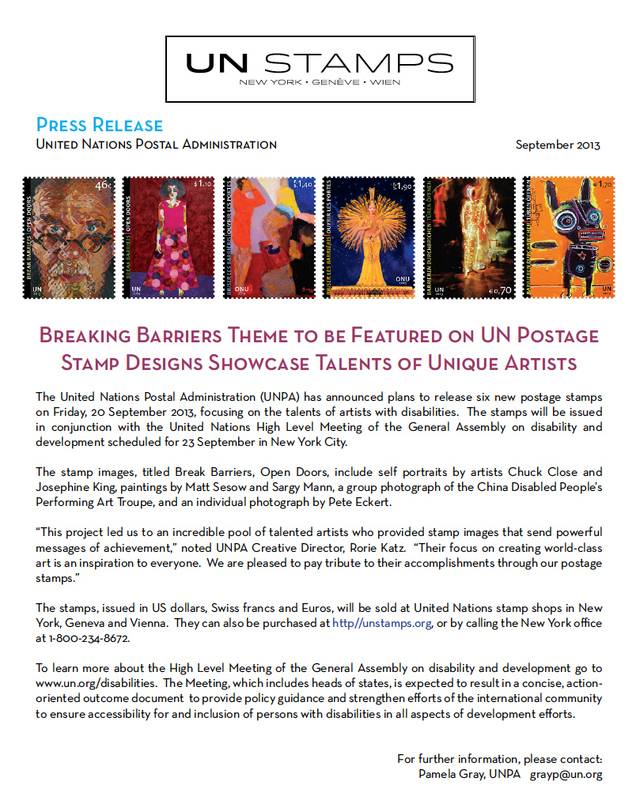 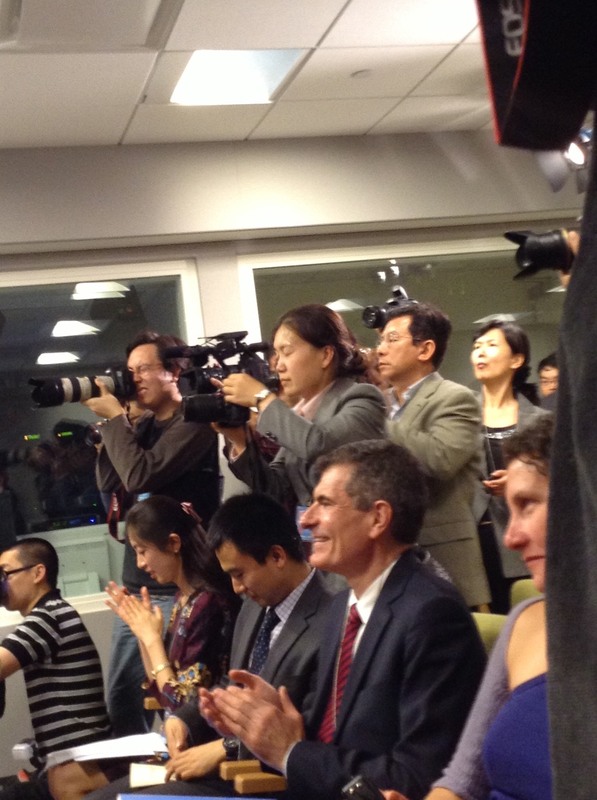 The stamp images, titled Break Barriers, Open Doors, include self portraits by artists Chuck Close and Josephine King, paintings by Matt Sesow and Sargy Mann, a group photograph of the China Disabled People’s Performing Art Troupe, and an individual photograph by Pete Eckert. 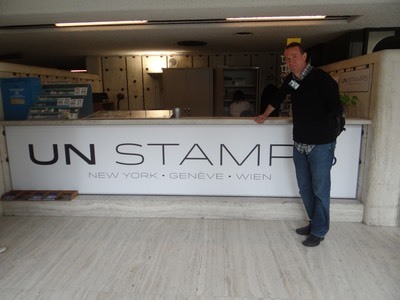 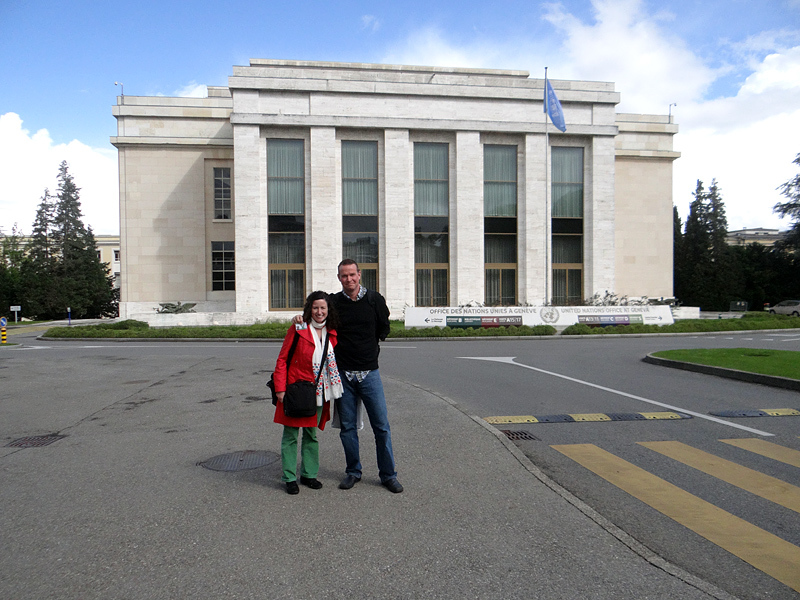 The stamps, issued in US dollars, Swiss francs and Euros, were sold at United Nations stamp shops in New York, Geneva and Vienna. 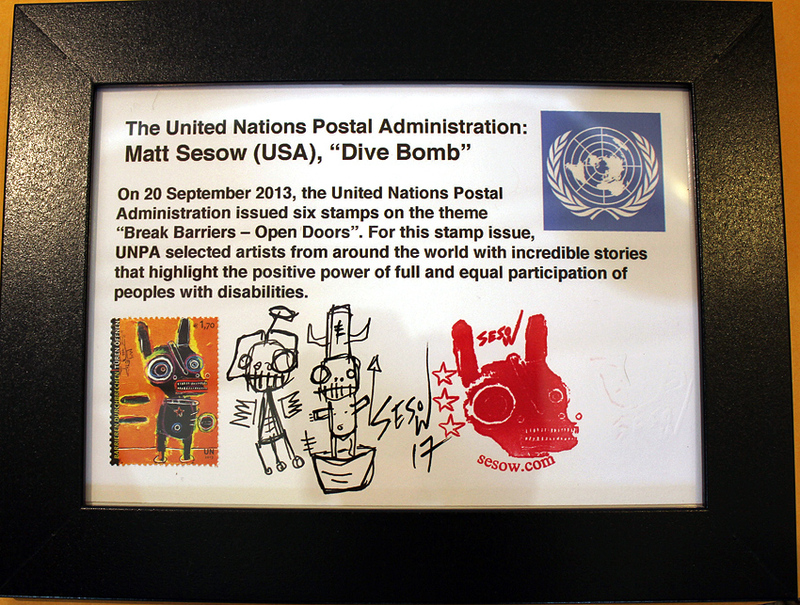 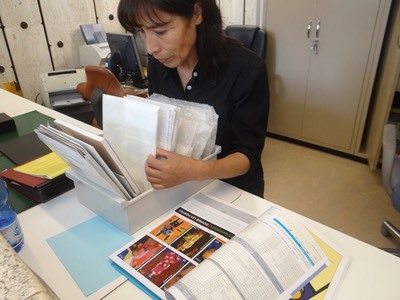 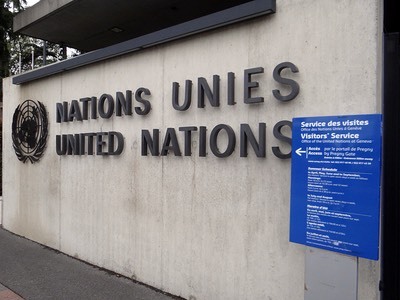 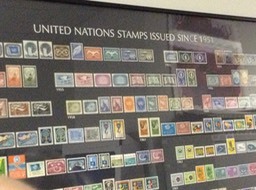 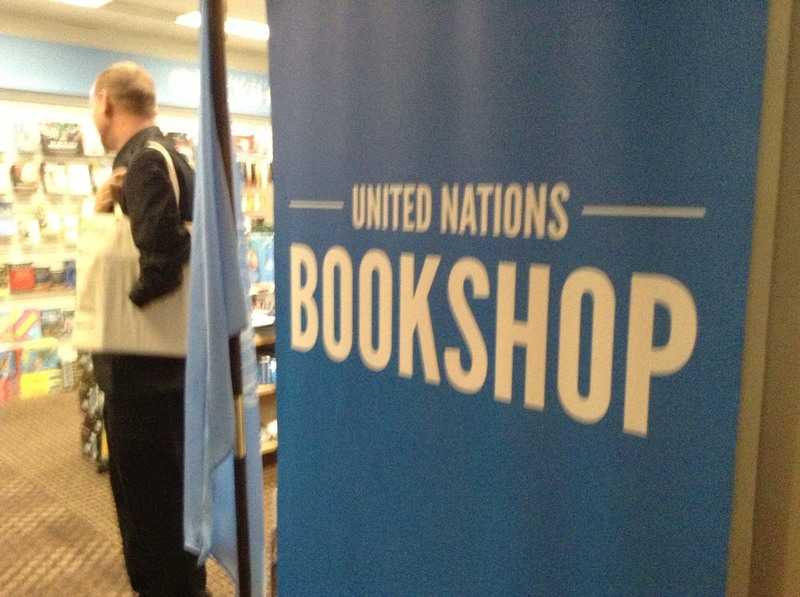 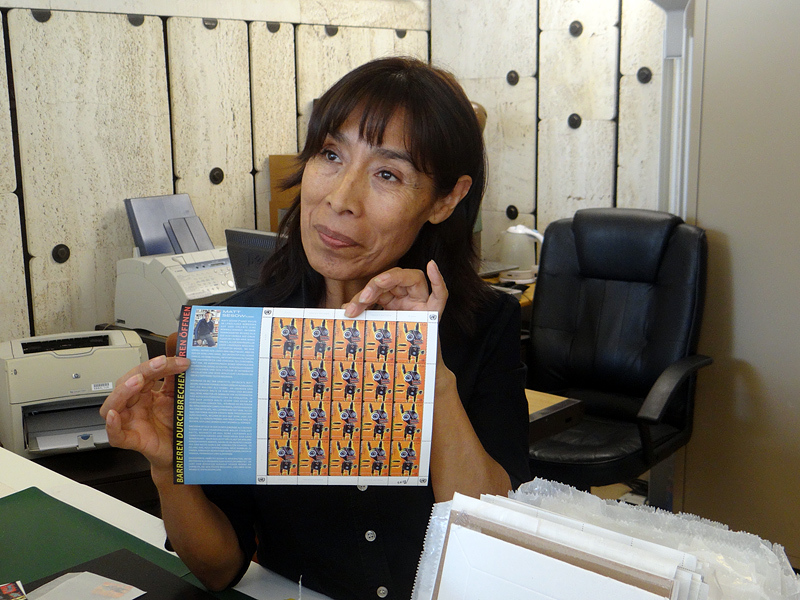 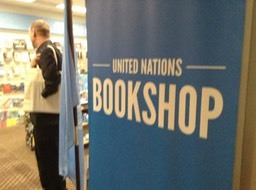 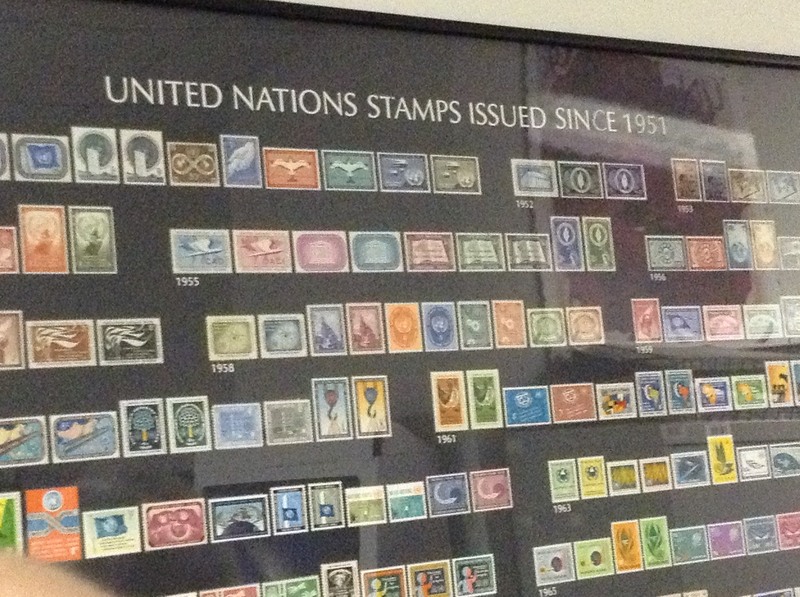 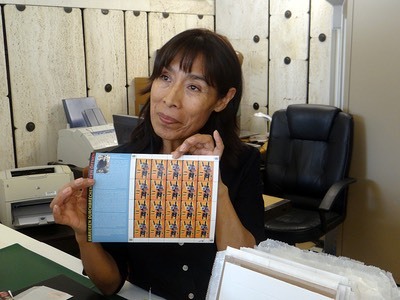 Sheets of stamps and other configurations were available online directly from the UN Postal Administration and at UN offices worldwide (SOLD OUT after a printing of 129,500). 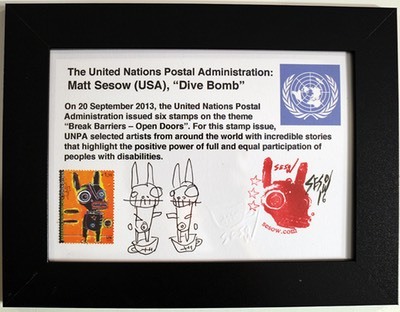 NOW AVAILABLE, framed single stamps directly from the artist using the form on this webpage.